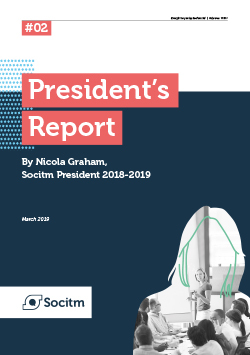 During my presidency, I have taken the opportunity to apply my 25 years of experience working in the technology sector to articulate how the society can support its members on one of the most pressing issues generated by the extent and pace of technological change. I have worked with colleagues to help define the scope and remit of my key policy theme: ‘The ethical use of emerging technologies’ and to design the associated research and action plan that will underpin our ambitious objectives in tackling this topic. My report starts to articulate and capture my thoughts, experiences and an analysis of the approach being adopted by the sector. Thank you for your interest in this publication. To continue with your download, please enter your email address and check the consent box below. We will use your email address to contact you about our products and services.